Sandy Lane offers serene style in a gloriously exotic setting & from the moment its first guests were welcomed in 1961 it has a reputation as one of the World’s very best hotels. 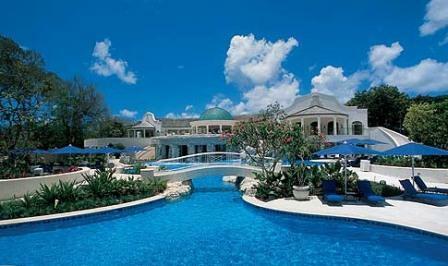 Sandy Lane has been considered the premier address in the Caribbean – preferred by royalty, movie stars and many of the business world’s most discerning personalities. Today Sandy Lane maintains its eminence in the 21st century as the premier luxury resort in the world with accolades from guests and awards travel trade and travel magazines. Sandy Lane is the complete resort – where you can be as active or relaxed as you wish; a romantic retreat for those seeking seclusion, a haven of tranquillity for couples, or the perfect location for families who desire the finest holiday experience with the widest choice of leisure options. Famous, exclusive, sumptuous are just a few words. This is what World Class luxury is all about. 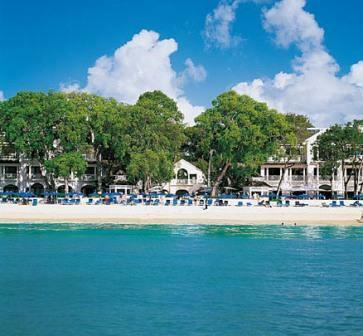 Located on the west coast of Barbados against a backdrop of the bluest waters. Rooms at Sandy Lane average about 80sqm and feature a large private veranda. All rooms have plasma wide-screen television, an interactive entertainment system, stereo, private bar, personal in-room safe, and a convenient telephone system with direct dial access. All rooms have specially designed multi-spray showers, heated mirrors in the bathroom, parabolic speakers on veranda and in the bathroom and a range of 5 star features that ensure your stay is both memorable and very comfortable. Orchid Rooms – These garden rooms are 779 square feet and overlook the tropical gardens. The bathrooms are spacious and cover an area, which is 21.10′ in length and 14.2′ wide. These marble bathrooms have a double vanity, separate tub and shower area, with WC and bidet located in their own room. Ocean Room s – are 707 square feet in size. 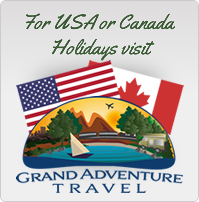 They overlook the clear, blue waters of the Caribbean Sea, and are centrally located. These rooms include double vanity, bidet, WC, separate shower and tub. 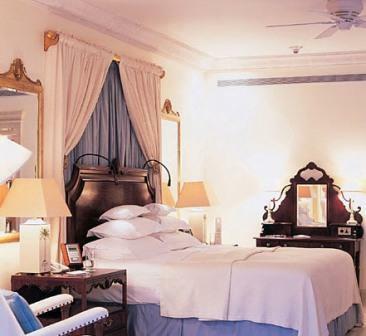 Luxury Ocean Rooms – located in the Seahouse and Dolphin wings, these luxury ocean rooms are 867 square feet in size. They all have spectacular views of the sea and an impressive view of the sun setting in the evenings. These rooms include a double vanity, bidet, WC, separate shower, tub, and a lady’s make-up area. Sandy Lane has an elegant yet understated style with four restaurants plus five bars located around the resort for your convenience and pleasure. At L’Acajou, is Sandy Lane’s signature restaurant, enjoy new world cuisine and fine wines in an open-air waterfront setting. The menu showcases the freshest island seafood, local delicacies and the best of imported products. 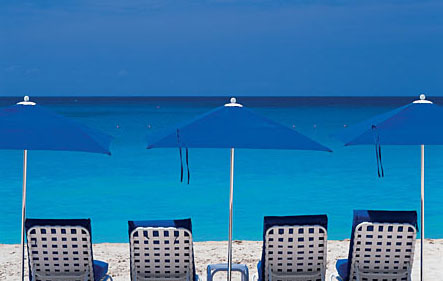 Bajan Blue, a beachfront restaurant that offers an all-day dining option. 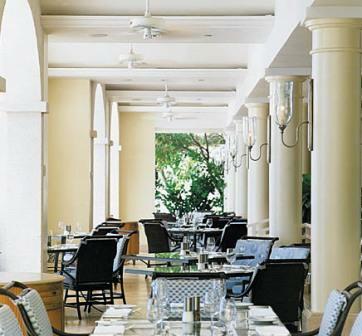 Wherever you choose to dine at Sandy’ Lane, the experience will be a truly memorable one. Spa Cafe, located on the Pool Level of the Spa is a delightful and casual poolside setting offering drinks & snacks throughout the day. Monkey Bar, Terrace Lounge & Beach Bar. No visit to the beach would be complete without a walk south to the Beach Club, where a complete range of water sports is available under the guidance of our qualified water sports attendants.